Tip: downplay it with a lot of black hues. 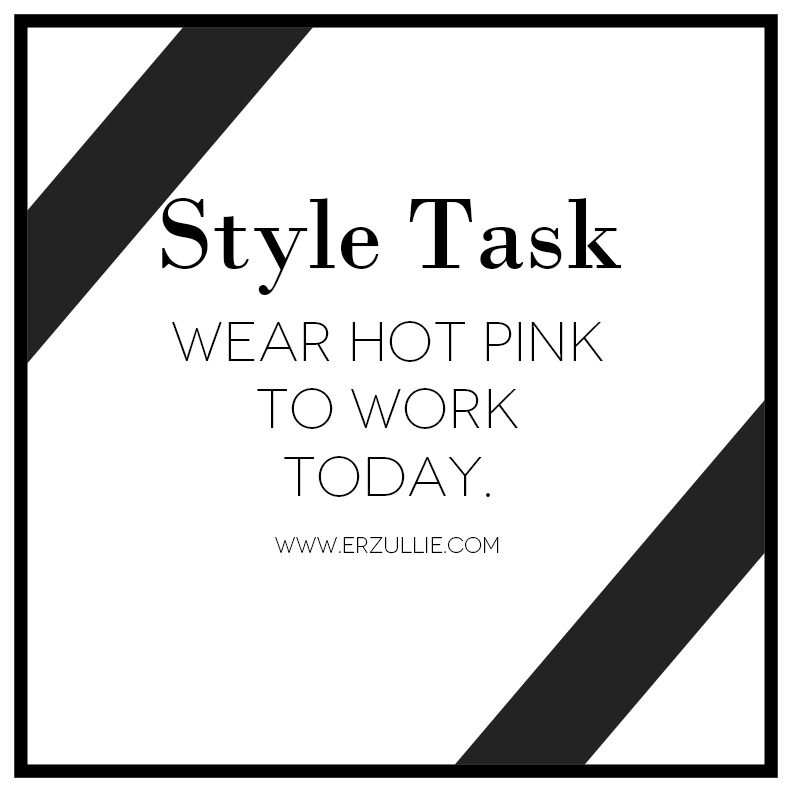 If you are wearing hot pink dress, downplay with a black blazer and heels. Hot pink hair? Go for nudes for your ensemble. Hot pink nails? Pair it up with some grays (okay not that dark but you get my point).